Cardinia Shire Council has responded to numerous claims made on behalf of Parklea by company director Don Welsh about the planning process of the Pakenham East Precinct Structure Plan. In a penned, unedited letter to the Gazette, council’s Acting General Manager of Planning and Development, Debbie Tyson, shed some light on some of the roles played by various stakeholders and the process leading to the final report which now lies with the Planning Department. “During the development of the Pakenham East Precinct Structure Plan (PSP), discussions were undertaken for the provision of a train station for the Pakenham East PSP area,” Ms Tyson wrote. “Two sites were identified, however Public Transport Victoria/Transport for Victoria did not support the inclusion of a train station, as it did not meet their criteria, which included: a constrained location, proximity to Pakenham Railway Station and Nar Nar Goon Railway Station, and lack of pedestrian walk-up catchment. “The PSP has been developed to ensure adequate road widths are provided adjacent to the possible train station sites, in case a further review of this matter is undertaken by the Victorian Government. “A traffic study was undertaken analysing the need for an interchange at Pakenham East to connect to the Princes Freeway. The study determined there was no need for an interchange at Pakenham East, as the Nar Nar Goon interchange located to the east of the site and the future duplication of Racecourse Road and McGregor Road will enable the road network to function satisfactorily and to cater for traffic demand generated by Pakenham East PSP area. “The PSP was developed by the Victorian Planning Authority (VPA) and Cardinia Shire Council. The VPA is the Planning Authority for this project. Council worked in close collaboration and consultation with the VPA, Transport for Victoria and the Public Transport Victoria, to ensure suitable public transport was provided. Bus networks and suitable pathways are provided within and external to the PSP. 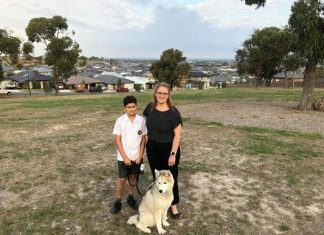 “The location of the secondary school has been developed in consultation with the VPA, the Department of Education and Training Victoria (DET) and Council. The nominated school site location is suitable for a school and supported by the DET. The school will not be located on top of a hill. “Council and the VPA have given Parklea the same opportunities to be consulted during the development of the PSP as any other landowner in the PSP area. Council and the VPA did consider a number of redesign options presented by Parklea. Some of these were included in the PSP design. “During the course of the PSP development, a variety of reports were released to landowners. Some reports were finalised at the end of the PSP development and therefore the reports were not available until the exhibition of the PSP. All reports (other than those which were legally confidential) were released during the exhibition process. “Council is not the determining authority for this PSP, the VPA is. 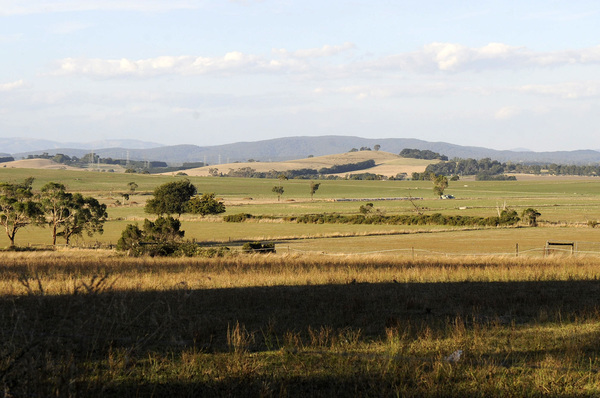 “Council has worked with the VPA, government agencies and landowners to prepare the PSP.